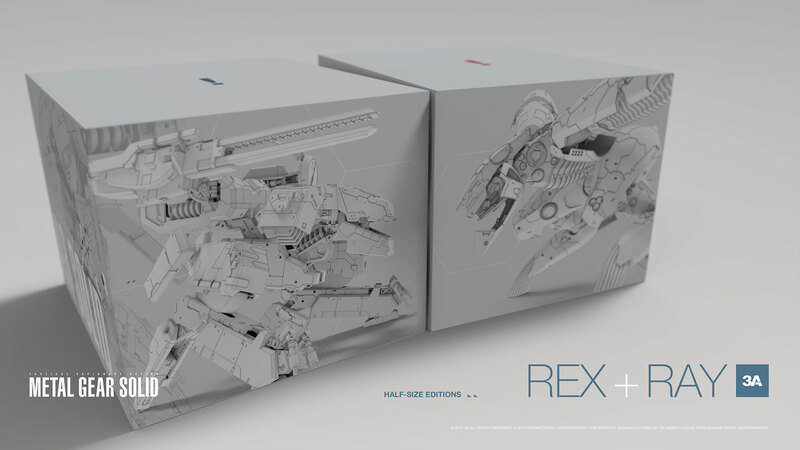 Toy manufacturer 3A has provided release information and packaging for their half-size Metal Gear REX and Metal Gear RAY statues (earlier they made larger and costlier REX and RAY statues, and these new ones are half their size). REX will be available through Bambaland on April 23rd 9:00 Hong Kong time. RAY doesn’t have a precise release date yet but will be launched later this year. According to the news post on 3A’s website, more information and pictures is coming soon.